I've been going on air drop runs at night without any stims and it's been amazing. Threading between two volatile vision cones, crouching in the dark, or elbowing a couple of regulars in the face, you know you're screwed if caught. There was one where the vol was standing near the crates, so I grabbed the one then set off some firecrackers of to the side so I could creep around and grab the other box. Try the \bolter runs, now thats tense. I just got that main mission. Been doing some side quest stuff from the docks area; the "puppets" one was... interesting. In the southern area near the dam, you get a call from a kid who's trapped in a warehouse. When you go to find him, you get trapped with a Demolisher and you have to kill it while the kids are looking on. Once you kill it, the kids freak out because it turns out they have been luring people in to get killed by this thing so they can watch and steal their stuff. They immediately scatter to who knows where, and that's probably not going to go well given the density of zeds in the area. Techland announces the availability of a Rocket League-themed paint job in Dying Light, saying players can redeem this by entering the code "LightMyRocket" on the Weapon Dockets page. 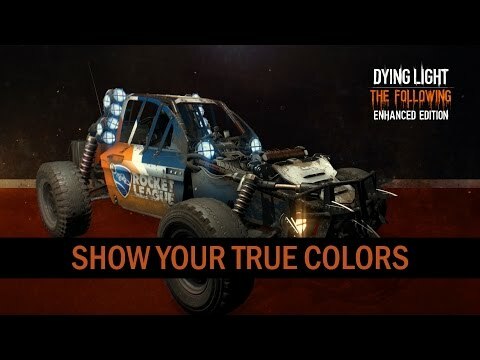 They offer this trailer to show how this looks, and add, "similarly in Rocket League, players will be able to kit out their rides with Dying Light inspired stuff," though they don't say how this will work. "We’re huge fans of Rocket League," explains Techland's Tymon Smektala. "And because both games offer great driving fun, we thought why not just partner up and give fans of both games some unique stuff." Made it to Old Town. Now fully synced with my ancestor, Ezio Auditore da Firenze. I like the style, but makes it tricker to find markers when there's four levels and only one of the doors is the right one. So for those looking to do NG+, make sure you don't have one of the quarantine missions selected. The NG option won't show up if you do. Man, one of my favourite games of all time just keeps getting better! Ugh, another digital download platform huh? wait so it's not just a free update for everyone? It looks like it is. My PC version got updated to the Enhanced Edition and this update is for the EE. Though I don't know how it works if you have the physical copy of the original game. Oh oops guess it's just for PC then? Following its free DLC reveal earlier this week, Techland has unveiled Gemly—a new "community focused" digital distribution platform that aims to bring the developer closer to its players. 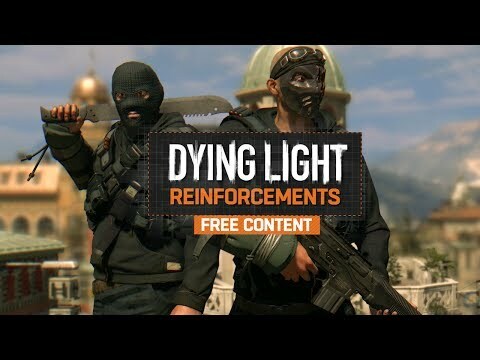 Ahead of Dying Light's first portion of free DLC due later this year, the zombie survival-meets-parkour 'em up has also launched its 'Content Drop #0' on PC. I read elsewhere that it's coming to consoles in September. The Content Drop and DLC are separate though. I'm not sure if Reinforcements is the Content Drop. So started playing this and it's pretty awesome minus the checkpoints not saving your position and the 2hander fire fighter zombies cheating on their attack range. Bombers inside a dark room as soon as you open the door is also a bit of a design misstep, but I'm looking forward to 2 (though they mentioned more zombies indoors...who wanted more zombies, much less in doors...).